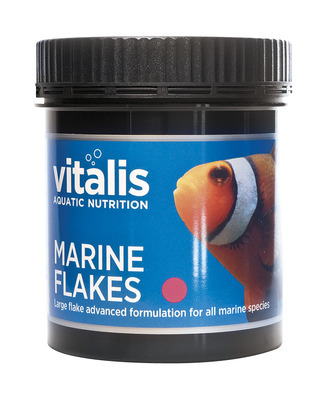 The Marine Flake is our core technical feed that incorporates our expert knowledge of natural ingredients and preservatives to deliver a highly palatable and digestible balanced diet for captive Coral Reef Species. It can be used alone as a complete feed, alongside Algae flakes or in rotation with our technical Aegis range to maximise health and vigour. Composition: Fish and Fish Derivatives, Derivatives of Vegetable Origin, Molluscs and Crustaceans, Oils and Fats, Minerals. 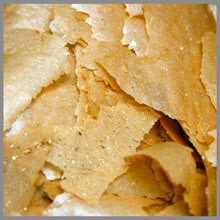 Analysis: Protein 52%, Fat Content 10.5%, Inorganic Matter 9.5%, Crude Fibre 2%. Nutritional Additives: Vitamin A 10,000iu/kg, Vitamin D3 2,000iu/kg, Vitamin E 200iu/kg, Zinc Sulphate Monohydrate 209mg/kg, Manganous Oxide 131mg/kg, Cupric Sulphate Pentahydrate 92mg/kg, Ferrous Sulphate Monohydrate 28.7mg/kg, Calcium Iodate Anhydrous 12.4mg/kg.